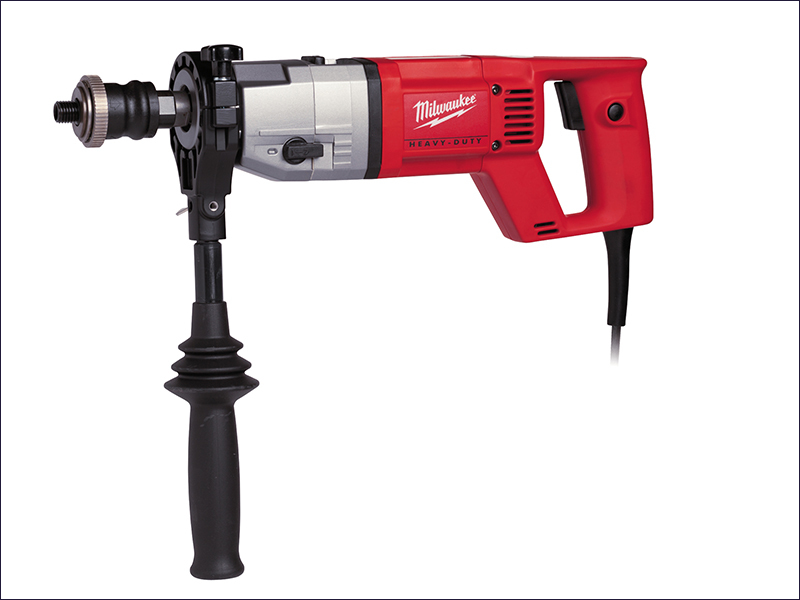 The Milwaukee DD 2-160XE Diamond Drill has a powerful robust motor that delivers constant high torque. It has dual protection from interlinked mechanical and electronic clutches to protect both the user and tool. The drill has a tough construction with a metal, 2-speed gearbox for long life and durability. The long AVS side handle and 'D- shaped' back handle provide safe handling. The soft hammer action allows the core bit to cut faster and more easily, and a soft start via an accelerator switch allows precise and controlled drilling. No Load Speed: 0-1,500 / 0-3,000 rpm. Hammer strokes: 24,000 / 48,000/min. Spindle Thread: M18 x 2.5. Max. Drilling Capacity Masonry: 162 mm.